They say January is the best time to book flights. Airfares are more cheaper. Travel fairs are also offering amazing deals. For me the best time to plan your trip is now! When you are young, strong and able. Of course, there are many things to consider when traveling. Cost, funds in short money. Why spend if you can travel the world for free? Goya Chocolates "Get a Taste of World Class Promo"
Enjoy world-class Filipino chocolate and a chance to experience the world. Who's not familiar with Goya? That Gold Coin Chocolates we grew up and the chocolate bar. Goya is so committed to provide world-class flavors and quality brands through its selection of chocolates. Now, they’re bringing this commitment even further by bringing the tastes of the world closer to Filipinos via a new and exciting promo. Goya recently launched the “Get a Taste of World Class Promo”. This is Goya’s way of giving its loyal Chocoholics a chance to taste and experience the world’s best. The “Get a Taste of World Class Promo” will bring 4 lucky winners and their chosen companion to some of the most exciting cities around the globe. 3 lucky winners will each receive two round-trip tickets to one of these world-class destinations: San Francisco, New York, and London. 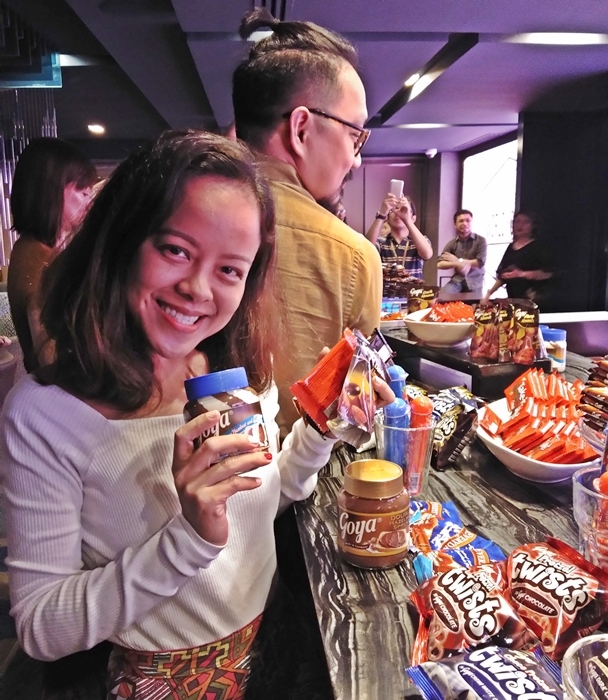 With Goya’s “Get a Taste of World Class” Promo, not only do chocoholics get to enjoy the taste of world-class chocolates, they also get the chance to win that dream trip to these destinations. Best of all, joining it is so easy! 2. Go to your Facebook Profile and tap on your Profile Pic. From the options tab, select Add Frame. Go to Frames From Pages You Like section and select the frame from Goya Chocolates. 3. Make this as your Profile Picture for 1 week. PM your screenshot to Goya Chocolates Page. Your profile pic qualifies as your raffle entry. I hope to win the grand prize or the trip to New York, my dream destination. How about you ladies? Don't forget to leave a comment to any of my JANUARY blog posts to get a raffle entry for our "Commenter of the Month". I will also include some Goya Chocolates in our prize. I want to join in that contest but the problem is I don't have passport. 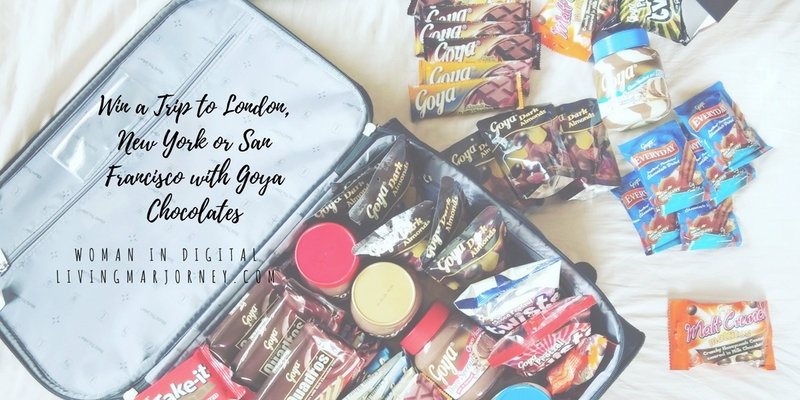 Yay for a chance to win a trip to London, New York, San Francisco or Paris with Goya Chocolates!!! Godbless and Godluck to all of us!! !